When it comes to artificial lighting, not all lights perform equally. 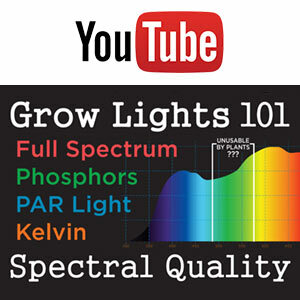 There is a broad range of variance in light spectrums. Prices will vary greatly. Some lights are more efficient than others. 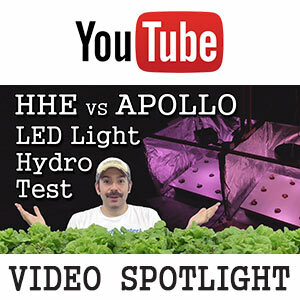 So what type of grow light is best for your needs? COLOR TEMPERATURE: Indoor light bulbs are classic examples of color variance. Think about temperature designations like "warm" or "cool". Warm bulbs (soft white) have a color range of 2700K to 3000K. Meanwhile, cool (bright white) bulbs are 3500K - 4100K. Then there's a "daylight" designation of 5000K - 6500K. Each bulb has a unique mix of light wavelengths that appear white (more or less). But some are more red or yellow or blue. Each can effect the look of a living space and even impact our moods. 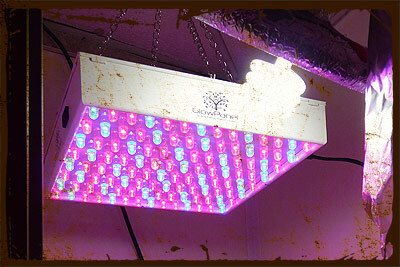 Similarly, in the world of artificial grow lights, various lighting technologies also have unique color profiles. These often fail to duplicate the entire range of full spectrum light produced by our sun. This applies to fluorescents (T8, T5 & CFL), HID lights (HPS & MH) and especially LEDs. Rather than merely concerning ourselves with aesthetics, we're looking at the development and growth rate of plants. How does the composition of one light source compare to that of another? Do different plants respond differently? What light solutions are most economical for long-term energy costs? The first step is to review some common lighting technologies in order to see what type(s) will work best in your usage scenario. Different types of grow lights will address different plant needs for each configuration. Application: Entry level lighting. Good for occasional or short term use. Works as supplemental lighting alongside a bright window or a low watt LED. Easy to fit in tight spaces or as side lighting. Good choice for lettuce, seedlings & cuttings. Application: Not as efficient as T5s. Not as bright either. Less expensive. Good for tight vertical spaces like shelves. The extra heat generated can compensate for cool room temperatures or drafty windows. Good choice for lettuce, seedlings & cuttings. Application: Most efficient fluorescent option, but more costly. Very bright when used at close distances. Good for quality, growing projects like seedlings, cuttings, lettuce or small herbs. Supports healthy, vigorous growth. Good for shelving systems. Application: More expensive than conventional MH or HPS systems, but more efficient. Reduced heat output vs other HIDs. Excellent broad spectrum color, for all growth phases. Emitted UV light is good for plants but not good for prolonged human exposure. 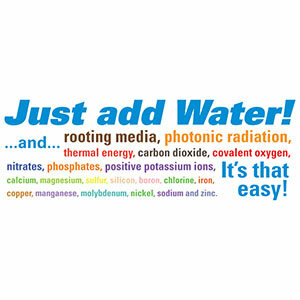 Application: Good for all growth phases. LEDs come in the broadest range of configurations. Prices can be higher than comparable technologies. But improved energy efficiency can make up for higher price. LEDs continue to get more efficient at lower costs. Spectrums are custom designed by mixing multiple diodes. Colors can be tuned to match chlorophyll absorption spectrum for highest yields per watt. Prices and wattages can be selected on a per application basis. LEDs can be used as point sources suspended above a canopy. Or they can be placed in strips like a linear source for closer proximity. Much less heat generation than HIDs. UPFRONT BUDGET: First ask yourself what your actual budget is. If you literally have no money, buying a couple CFLs might be your easiest option. Find a sunny windowsill and toss a couple CFLs above the plants. Alternately, some linear (straight tube) fluorescents would work ok for a low startup cost. If you have a little extra money, T5s or HIDs might be worth considering. Even good LEDs could be purchased at less than $100. Large-scale operations will have a bigger budget and may focus on CMHs and/or LEDs. OPERATING BUDGET: This is a tricky factor that is worth serious consideration. You might buy a cheap light that ends up costing you WAY more. Consider the efficiency of two potential lights. Then look at how much you'll be running them. Do you plan on growing seedlings for 6 weeks out of the year? Or are you growing year round? What are your electrical rates? Short term usage of lights means that it will take MUCH longer for LEDs to pay for themselves in energy savings. But continuous usage at high-priced electrical rates means that a more efficient light can pay for itself in the first year. SCALE & ANNUAL USAGE: The size of your operation will greatly influence the lighting solution you decide on. Certain light types become less feasible with increase in scale. CFLs and T8s make sense in small spaces that are used seasonally. HIDs and LEDs are better for large-scale, continual usage. In general, LEDs are the most flexible for the broadest range of applications. GROWING AREA: Your growing area is a crucial consideration. Are you growing on a shelf? Try linear fluorescents or strip LEDs. Are you growing in a tent? HIDs or LEDs (UFO / COB / Panel) will work well. These are good when there is over 12" of clearance above the plant canopy. Is your growing chamber heated? In warm regions, you might need air conditioning. LEDs would be better than HIDs due to their reduced heat emission. In cold growing environments, like an unheated sunroom, extra heat is not be a bad thing. In this case, inefficiency is somewhat beneficial. PLANT TYPES & GROWTH STAGES: How many plants are you growing? More plants means larger lights. How large will the plants be? Larger plants require brighter lights. Will they be purely vegetative like lettuce? T5s or MH might do the trick. Or do you want them to flower and form fruit? Fruiting plants require more energy and a higher ratio of red light. In that case you might prefer HPS or LEDs. As mentioned earlier, you could always mix natural sunlight with artificial lighting. But going further, you could also mix your lighting sources. Why not add some CFLs to your LEDs for improved spectrum and canopy penetration? How about the reds from some LEDs added to a mostly blue Metal Halide? It's fairly common to mix MH and HPS for a fuller spectrum. Some lights might not even be activated until the plants have begun to mature. Don't get tunnel vision thinking that there is only one way. Think about what you want to accomplish and go from there. Understandably, one of the most complex topics is that of LED lighting. There seems to be so much inconsistency. Have you ever wondered why the LEDs tend to have mostly blue and red diodes? Read on to see a surprising reason that many are not aware of!